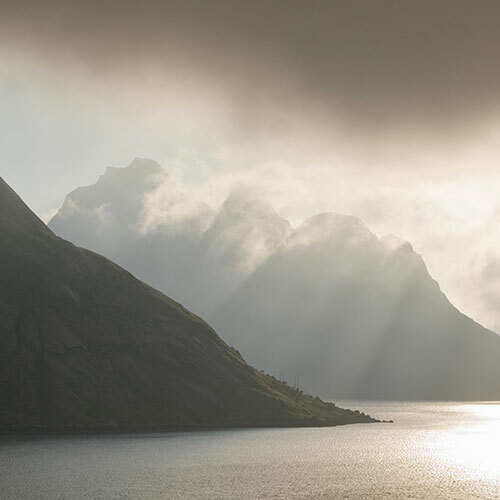 Experience the magical spirit of Freya, norse goddess of love and life. 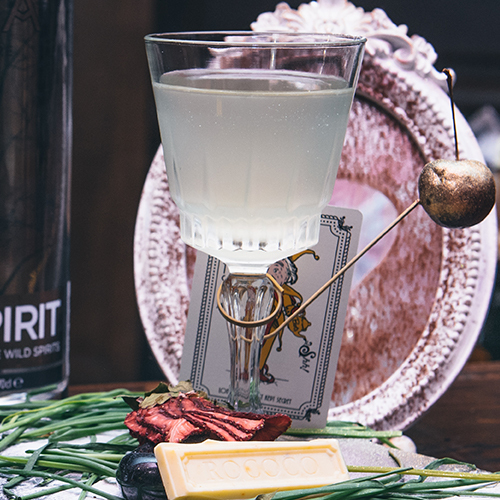 Upholding ancient traditions from the far north of the world, this spirit is distilled from the sap of the birch, harvested just once a year in early spring. Pure, wild and untamed. Finally, a spirit to match your own. FREYA was Wild By Nature. The Norse Goddess of love, fertility, gold and war was a bringer of new life, protector of fallen warriors and the ‘most glorious’ amongst the Norse gods. She was wild, independent, natural and spirited. 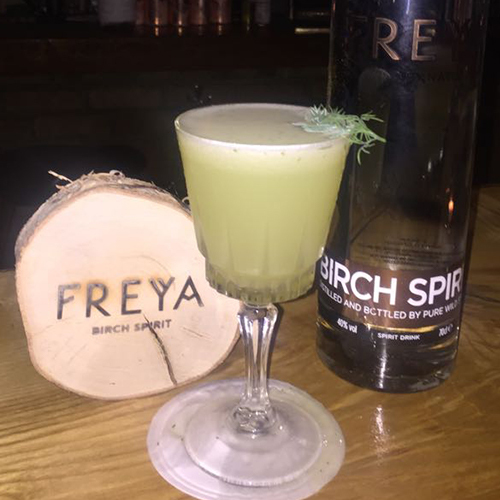 Freya Birch Spirit upholds the ancient traditions of the far north and embodies Freya’s spirit in every drop of uniquely distilled birch sap. 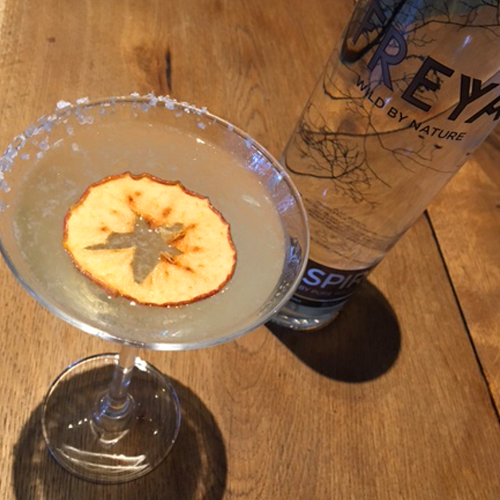 Experience the natural spirit of Freya through our clean tasting, full flavoured, pure wild spirit. Worshipped in the forests of northern Europe, Freya’s acolytes would purify themselves in the sacred smoke of their campfires…Introducing FREYA WOODSMOKE, infused with the smoke of sacred woods : apple for love, birch for fertility, chestnut for strength…FREYA IS DISTILLED FROM WILD BIRCH TREE SAP, AND INFUSED WITH CAMPFIRE SMOKE TO CREATE THIS UNIQUE SMOKY EXPRESSION. 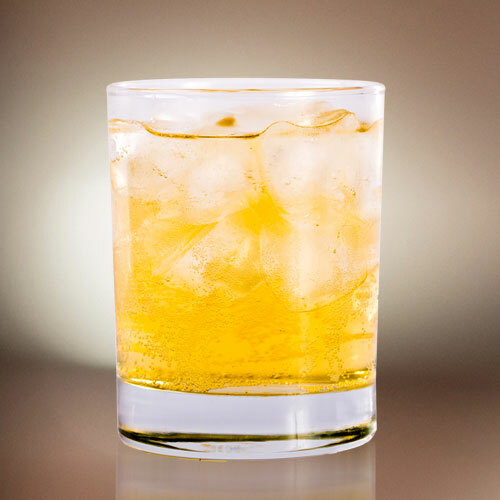 Enjoy over ice, with mixers, or in wild smoky cocktails. 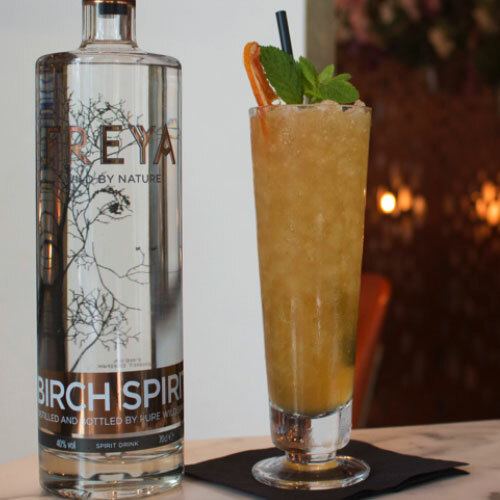 Freya is distilled from the sap of the birch tree, which grows in wild abundance across the northern hemisphere. 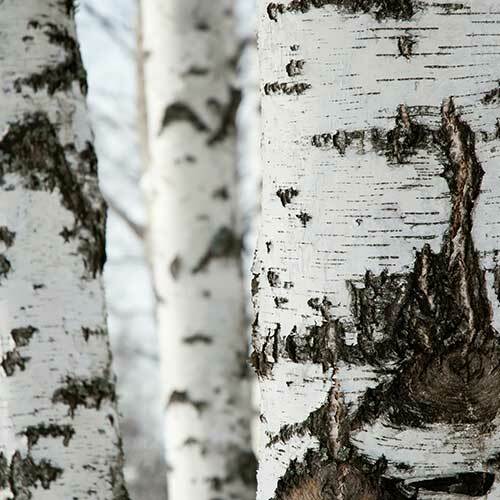 Harvested once a year in early spring after the winter thaw, foragers have just three weeks to search the forests for wild birch trees and carefully and sustainably tap the trees drawing out the pure birch sap. The sap is frozen to retain freshness and its full flavour and the trees are left to continue their growth until the next year. 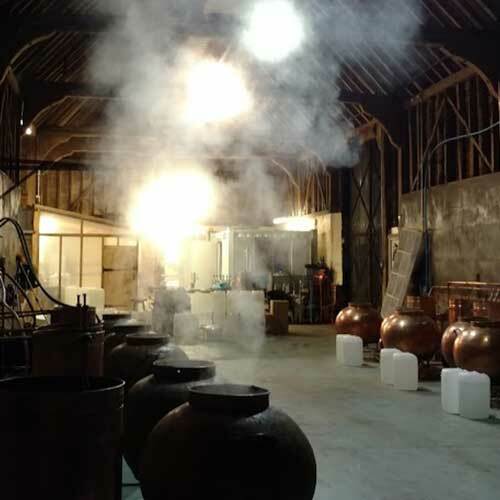 After being carefully transported to our artisan distillers in the UK this naturally occurring sap is fermented and distilled in hand made copper pot stills to a clean, pure spirit full of flavour and with the wild, natural character of the birch. 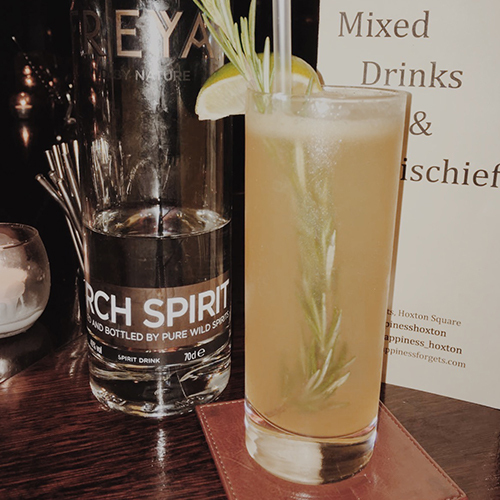 Freya is the first ever ‘Wild Spirit’, truly unique and a natural wild alternative to Gin, Vodka or other white spirits. 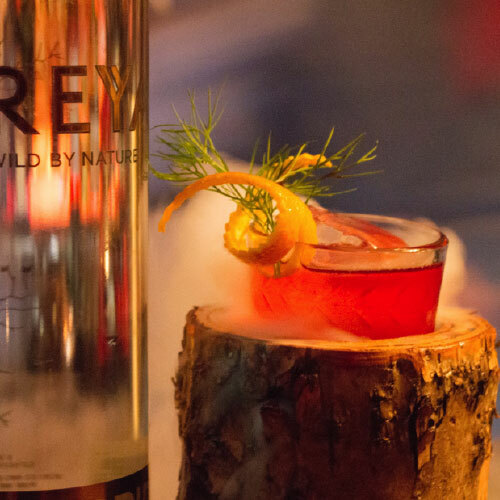 Freya: pure wild spirit – handcrafted from the 'wild' forest to your glass. Freya has a lightly fruity aroma akin to fresh peaches. 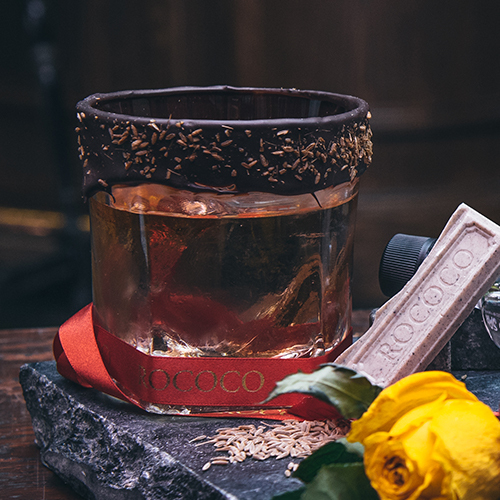 Take a sip and you'll pick up hints of natural green flavours reminiscent of a premium tequila and the woody notes of a young whisky together with a background of subtle vanilla and ending with lingering rye. 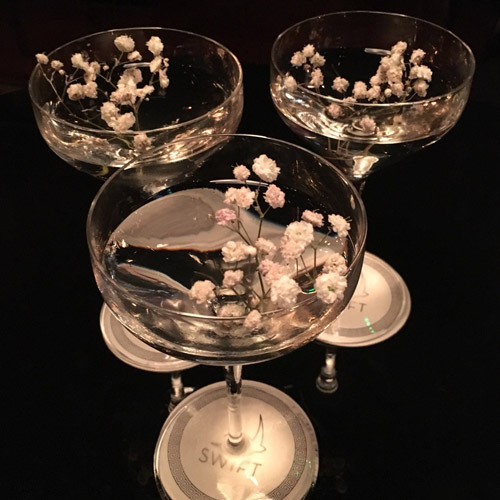 Martini glass – chilled. 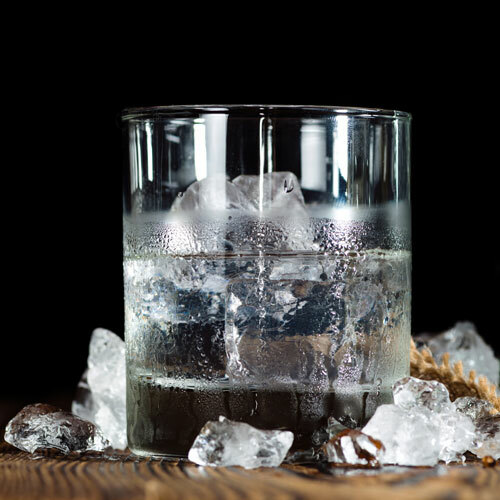 Rinse ice in a shaker with dry vermouth and drain. 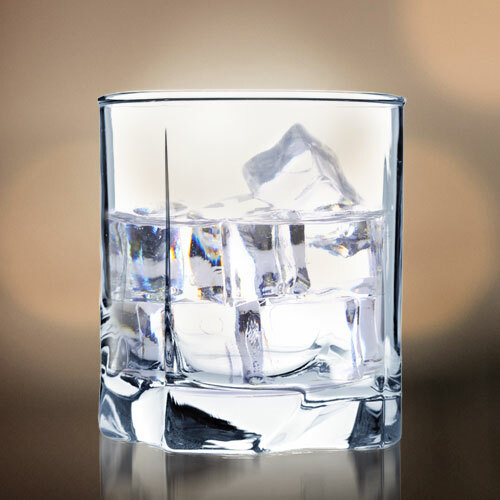 Pour 50mls of Freya® over ice and stir until chilled. 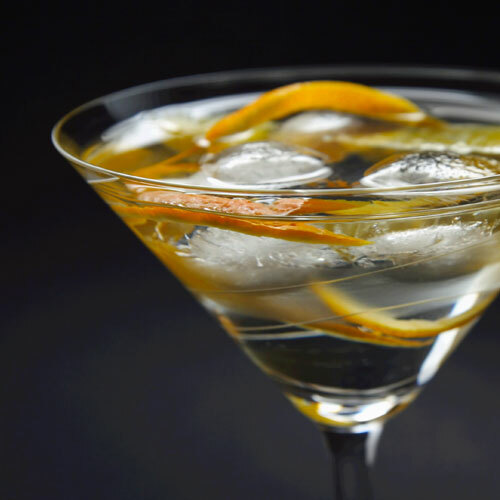 Pour into martini glass and garnish with a twist of orange peel. 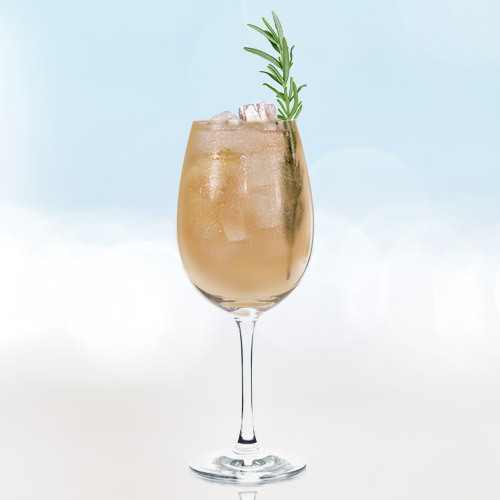 10ml Elderflower cordial, 25ml Freya® Birch Spirit, 50ml Soda Water, 75ml good dry white wine, add angostura bitters and a squeeze of lemon, large ice cubes, rosemary garnish. 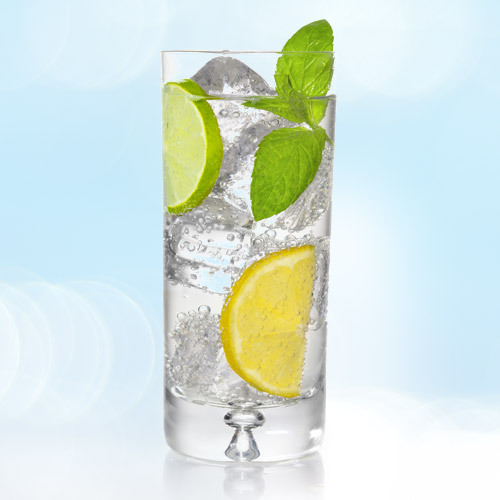 25ml Freya® Birch Spirit, topped with Fever-Tree Elderflower Tonic over ice. Garnish with lemon wedges and fresh mint. 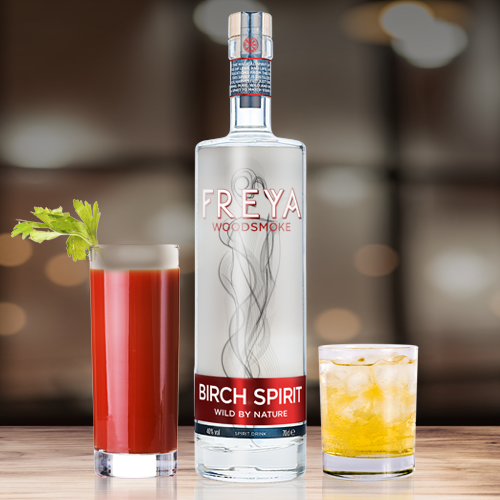 50ml of Freya® Birch Spirit. Ice cubes. 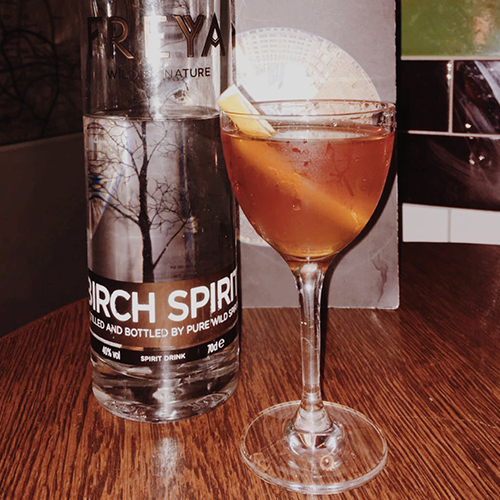 50ml Freya Birch Spirit, 50ml freshly squeezed home grown Pink Lady apple juice, 10ml 10 year aged Armagnac. 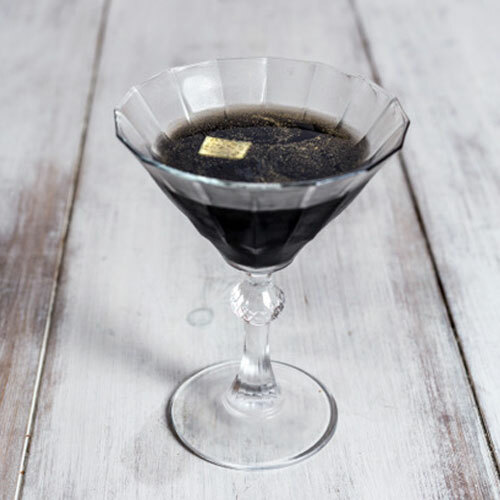 Shake all ingredients over ice, strain into chilled martini glass, serve. 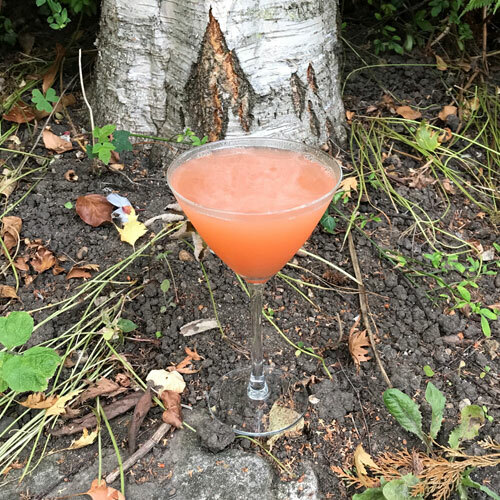 Cocktail created by Dean Railton. 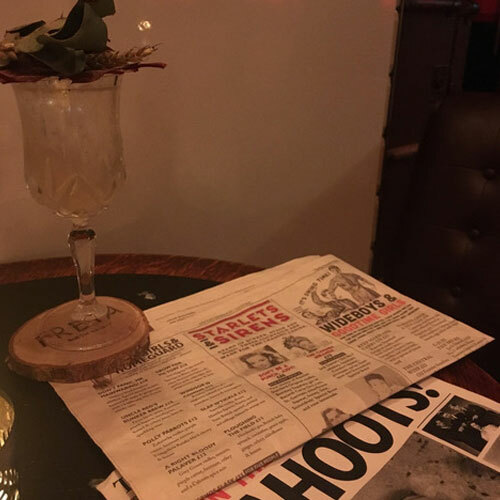 Cocktail created by Cahoots Scoundrels. 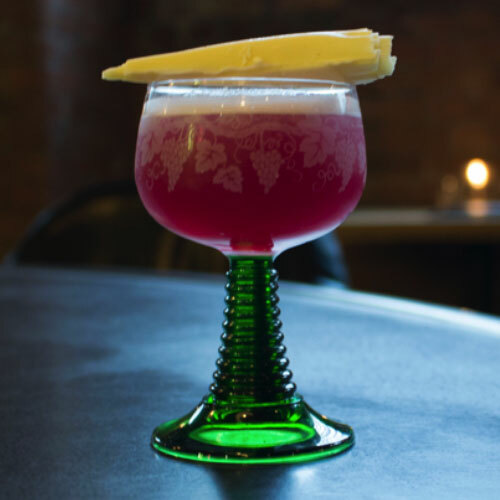 Cocktail created by Juton Priebe. 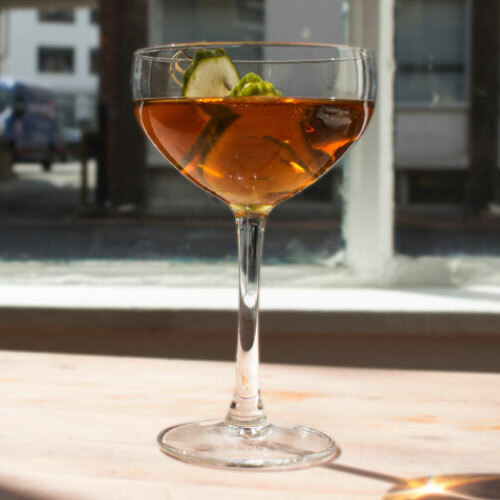 Cocktail created by Jason Knowles. Cocktail created by Scott Lyon. 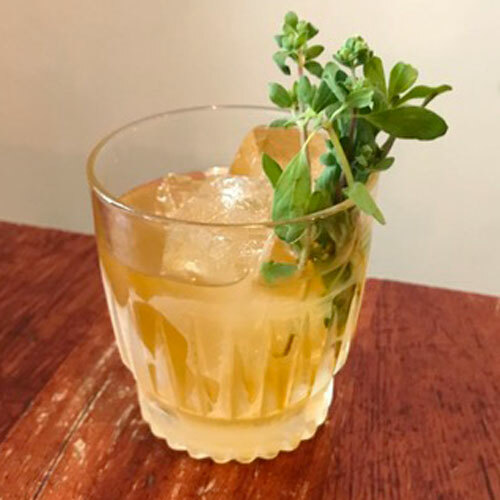 Cocktail created by Mia Johansson. 50ml Freya®. Two cubes of brown sugar. Half a lime - sliced. Take a shaker, fill with ice and put the Freya, sugar and squeezed lime into it. 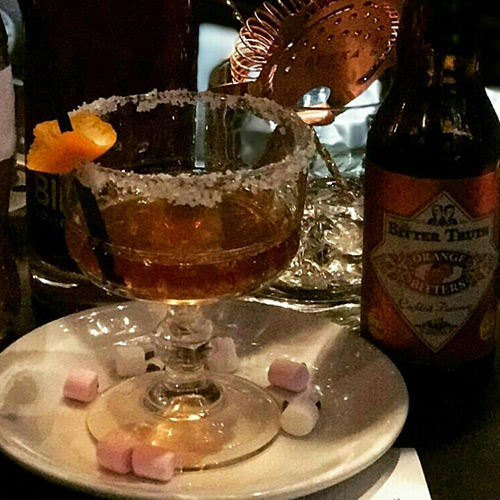 Shake until sugar has dissolved. 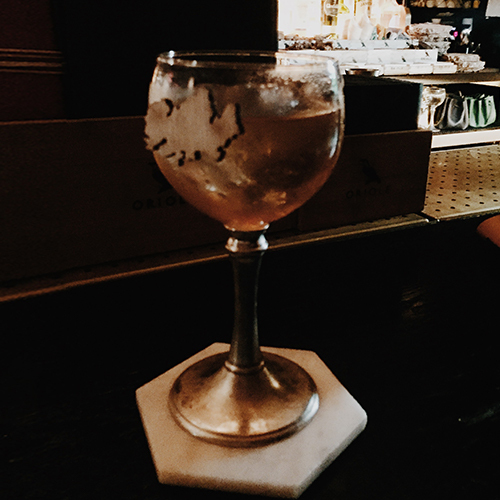 Strain into a martini glass which is half rimmed with Maldon sea salt. 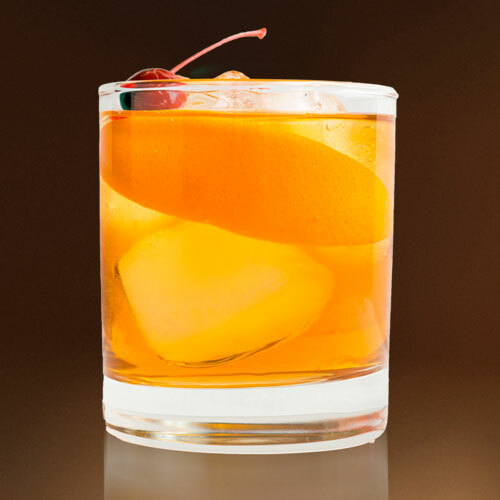 Garnish with a sliver of dried apple. 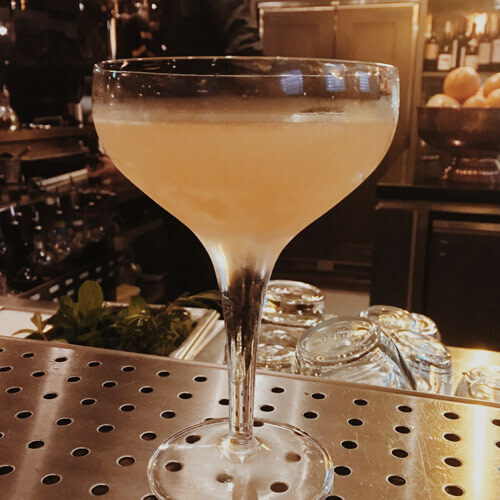 Cocktail created by Mia Johansson. By completing this form I consent to receiving email communications from Pure Wild Spirits. Got something to share, then let it out – we’d love to hear from you. Freya travels very well. If you would like to discuss an opportunity please complete this form or call us on +44 (0) 207 717 5560.
b. All material on this website is protected by copyright and other laws and cannot be copied, reproduced, distributed, republished, uploaded, posted, or transmitted in any way without the prior written consent of the copyright owner. c. All trademarks on this site are property of Pure Wild Spirits Ltd.
e. This website may contain discussion groups, news groups, bulletin boards, chat rooms and other interactive services (“Message Boards”). Your use of Message Boards is at your own risk. We reserve the right, but not the obligation, to monitor our Message Boards and to remove or alter any content which, at our sole discretion, constitutes a misuse or is inappropriate. We are not responsible for maintaining your postings and we may delete or destroy them at any time. 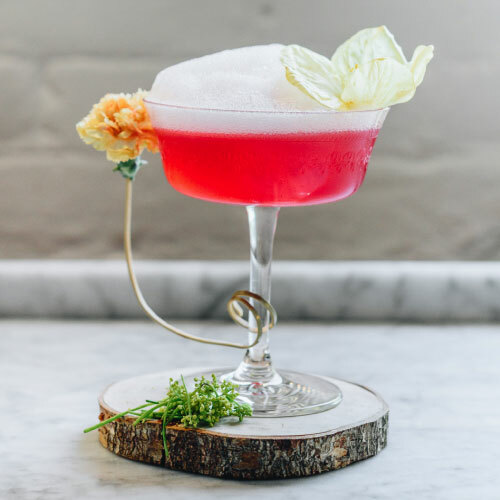 f. Pure Wild Spirits Ltd is not liable for any damages, harm, or injury that relate to, arise out of, or result from the use of, or access to, or the inability to use, any of the material on this website. The materials on this site are provided “as seen” and without warranties of any kind, expressed or implied. g. We may restrict, suspend or terminate access to this website at any time if we believe that users have breached these Terms and Conditions. Any such restriction, suspension or termination will be without prejudice to any rights which we may have against users in respect of their breach of these Terms and Conditions. h. We respect the intellectual property rights of others, and require that the people who use the website do likewise. If you believe that your work has been copied in a way that constitutes copyright infringement, please forward the following information to the address below : 1/ description of any copyrighted work which you claim has been infringed; 2/ a description of the alleged infringing activity and where the alleged infringing material is located; 3/ a statement by you that you have a good faith and reasonable belief that the disputed use is not authorized by you, the copyright owner, its agent, or the law; 4/ an electronic or physical signature of the person authorized to act on behalf of the owner of the copyright interest; and 5/ a statement by you, made under penalty of perjury, that the above information is accurate and that you are the copyright owner or authorized to act on the copyright owner’s behalf. Pure Wild Spirits Ltd is committed to protecting your personal privacy. We provide this notice to explain the kind of information we collect on our websites and how that information is used. When visiting our websites, we may from time to time ask you questions on an aggregate basis (we don’t identify you personally with the information provided in response to such questions) and these questions will be identified as such on the website. In all other instances, you should assume that we will track any information you provide on a personally identifiable basis. Registration may be required to be eligible to enter online contests, competitions or sweepstakes. Pure Wild Spirits Ltd may use the information you provide when registering to fulfill prizes. We use return email addresses to answer any email communication that we receive, and we may use such email addresses to send you other information from time to time. 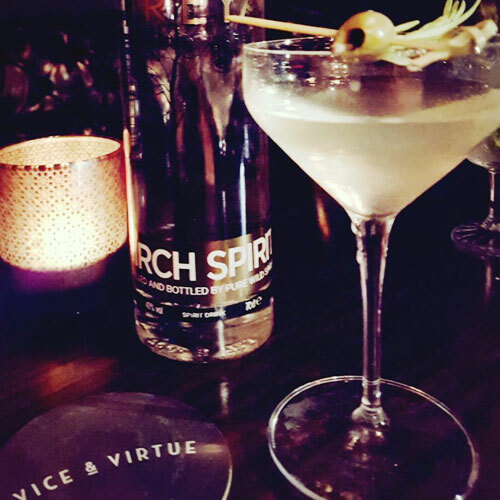 In addition to information that you provide us voluntarily, Pure Wild Spirits Ltd may collect aggregate information in the form of IP addresses. An IP address is a number that is automatically assigned to your computer whenever you are surfing the Web. Web servers, the computers that serve up Web pages, automatically identify your computer by its IP address. When you request a page from this website, our servers log your IP address. We do not link IP addresses to anything personally identifiable, so although your session will be logged, you will remain anonymous to us on the basis of your IP address. We collect basic personal data including name, job role, organisation, email and phone number. Pure Wild Spirits Ltd. only holds the basic information (outlined above) that is relevant and no sensitive data (e.g. ethnicity, gender, sexual orientation, political beliefs) is collected, as it is not needed. We also collect personal information when we are contacted directly. for internal marketing analysis, for example, to assess trends amongst our consumers or to measure the amount of traffic to our websites. to share non-personal information with others, such as advertisers, in aggregate anonymous form (which means that the information will not contain any personally identifiable information about you). in order to respond to your queries and requests and to manage transactions such as credit card payments for any goods that you order from us or any of our agents, or for the fulfillment of such transactions (e.g. delivery). The personal information you provide may be used by an authorized vendor to fulfill that order. to communicate with you about our products and services and those of our subsidiaries, affiliates, and parent companies and any of their related businesses. for selected organizations to send you marketing and promotional information that may be of interest to you. In such circumstances your personal information may be disclosed to these organizations who will agree to be bound by the terms of this privacy statement. We will obtain your permission before we send you any such communications. In the event of a sale, merger, consolidation, change in control, transfer of substantial assets, reorganization or liquidation of our business, we may transfer, sell, or assign to third parties information concerning your relationship with us, including without limitation, personally identifiable information that you provide and other information concerning your relationship with us. You may request that we provide you the information which we hold about you, update your information or ask us to remove your information or correct any inaccuracies in such personal data. We will use reasonable efforts to deal with your request and to do so within a reasonable time. 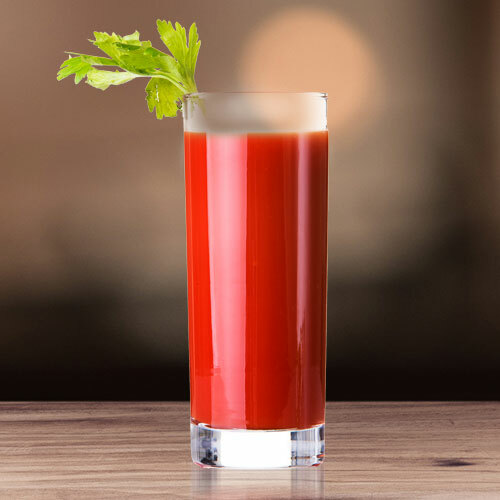 If you wish to request that we provide you with the information which we hold about you, to update that information or to correct any information, please contact us at info@purewildspirits.com. Please note: The laws and regulations in different countries impose different (and sometimes conflicting) requirements on the Internet and data protection. The servers which make this site available worldwide are located in the UK. All matters relating to this site are governed by the laws of the UK. Please note that any information you provide may be transferred to the other international territories and by submitting the information you authorize this transfer. You must be of legal drinking age to enter this website – if you are, come on in!